Do tu wish that Kikyo was alive? In Your Opinion: Who's Voice Suited Kikyou more? Kikyou is a priestess from the Warring States Era. She is a very powerful Miko with incredible archery skills. She once guarded the Shikon no Tama and maintained its purity. Demons from all over tried to steal the jewel from her, but she killed them all. Until one day, a half-demon named inuyasha tried to take it from her in order to become a full demon. She refused to kill him because he was half-human. So instead, he followed her around, and before anyone knew it, they had fallen in love. I always go on InuYasha wiki and I amor IT! but my fav place is the kikyou page! There's this other Kikyo spot I discovered which no one has ever joined I think because the club name is spelled wrong, 'kikkyo', well I couldn't bring myself to reportar it, so, here it is. 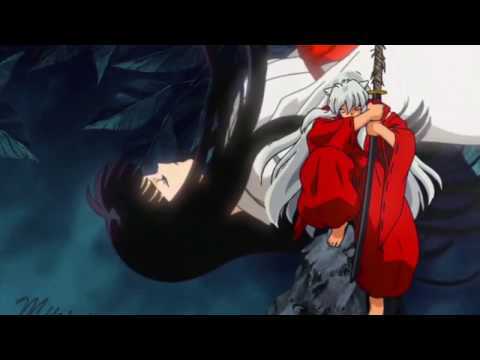 I really amor watching Inuyasha.. My fav character is Kikyo, I don't understand why she has so many haters.. I mean, well when tu in her position won't u be jealous to see somebody tu amor with another girl..
a comment was made to the poll: Do tu wish that Kikyo was alive? 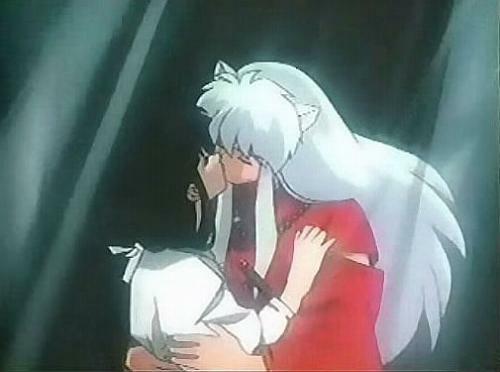 What episodes do InuYasha and Kikyou kiss for the first time in the series? who will inuyasha choose kikyo o kagome?